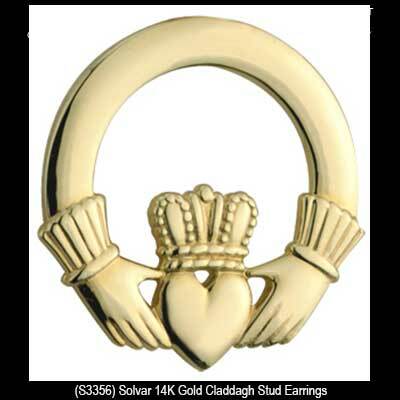 These small Claddagh earrings are studs that are cast in 14K gold. These 14K gold Claddagh earrings are small studs with push on butterfly backs. 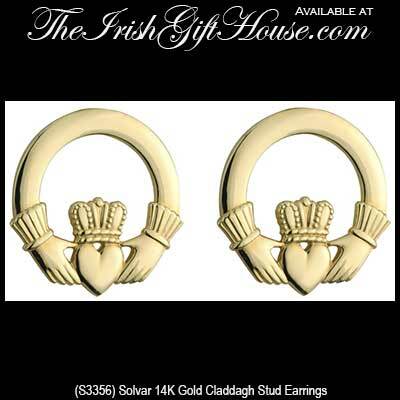 The Claddagh stud earrings measure 3/8" diameter.